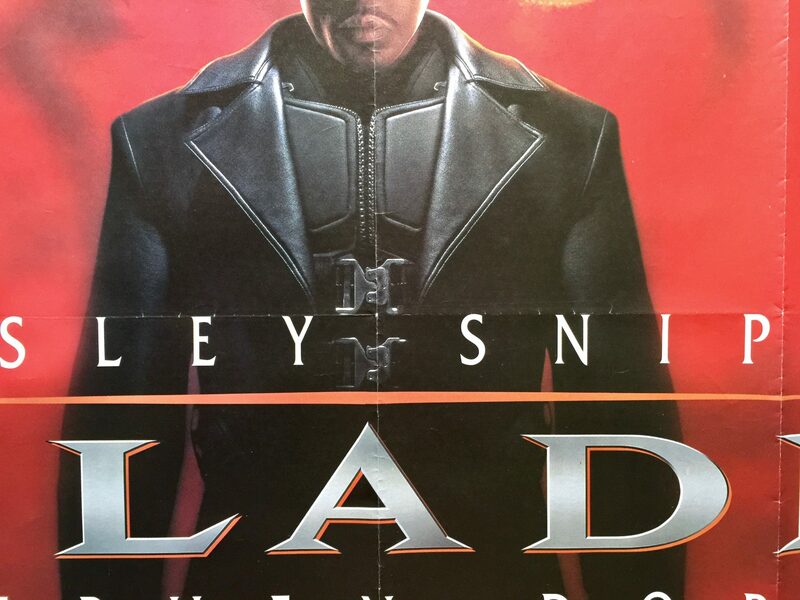 Blade is a 1998 film directed by Stephen Norrington. 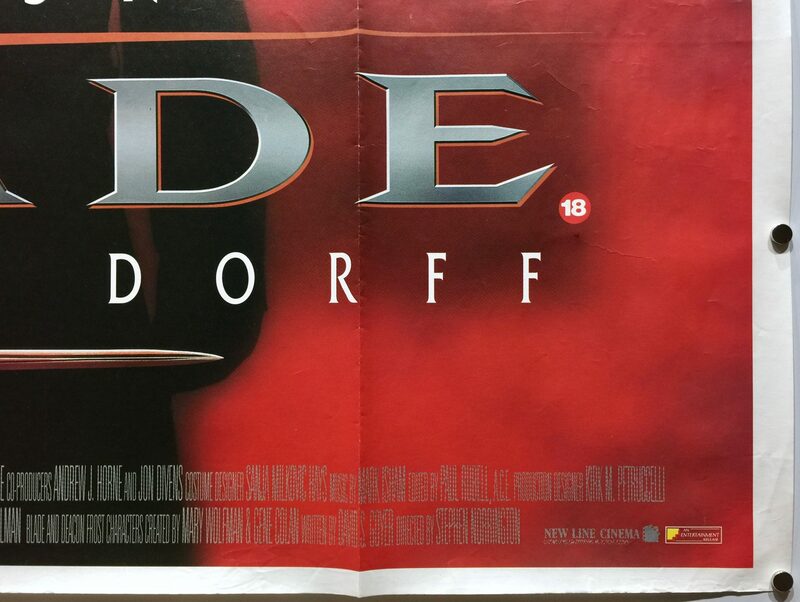 It was co-produced by Peter Frankfurt, Wesley Snipes, Robert Engelman, Andrew J. Horne and Avi Arad. 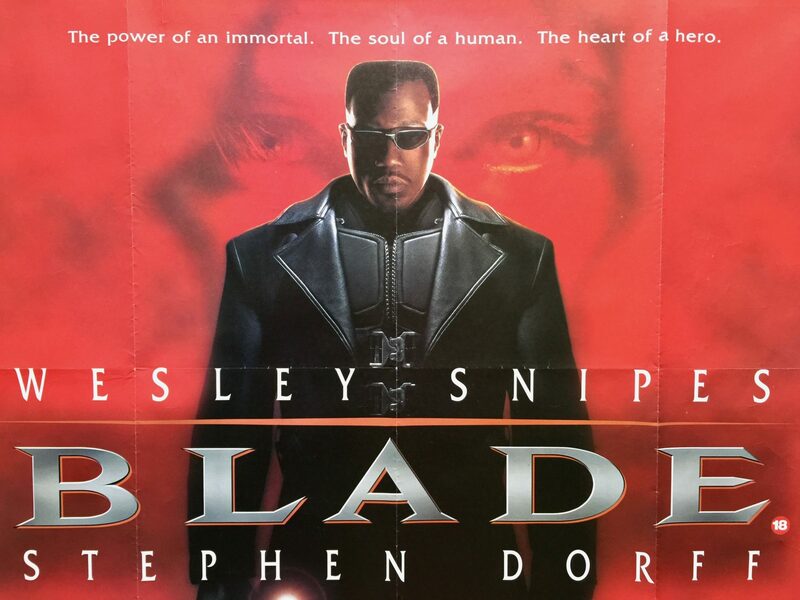 The screenplay was written by David S. Goyer and is based on the character, Blade who was created in 1973 for Marvel Comics by writer Marv Wolfman and artist Gene Colan as a supporting character in the 1970s comic The Tomb of Dracula. 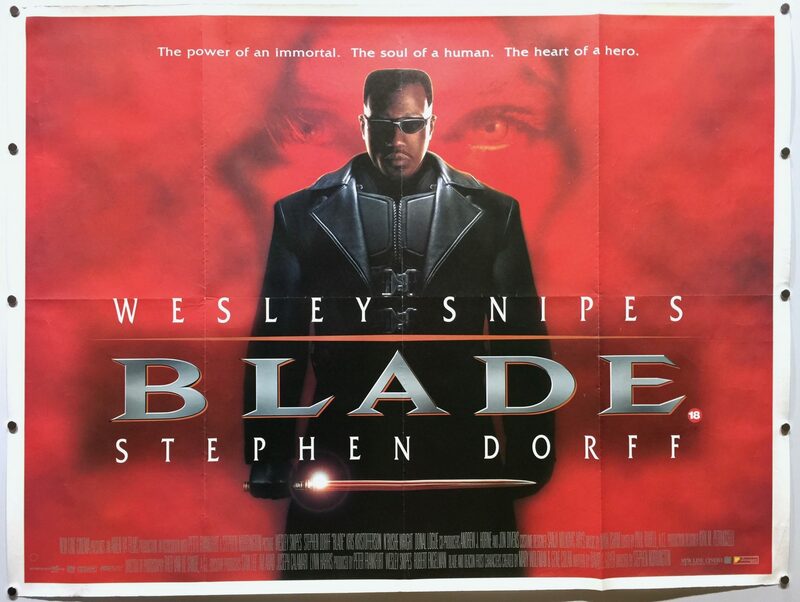 Blade stars Wesley Snipes, Stephen Dorff, Kris Kristofferson, N’Bushe Wright and Donal Logue. 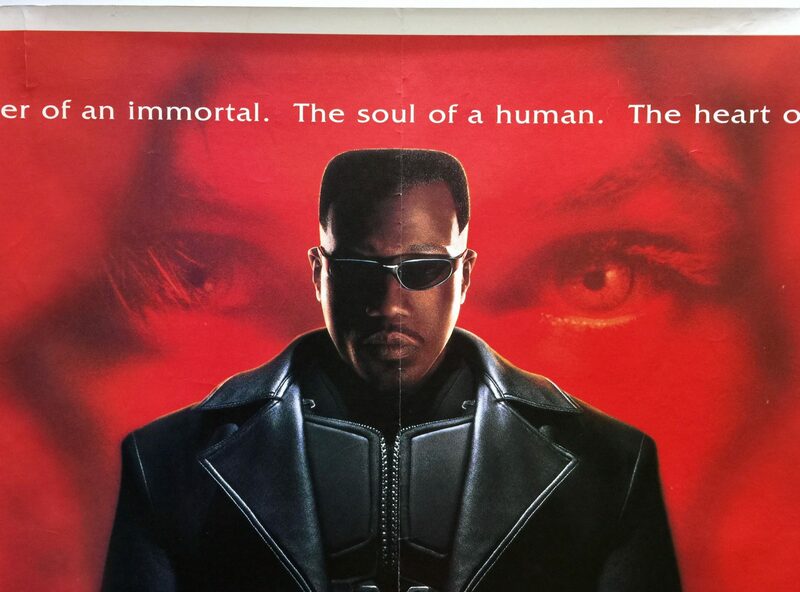 The storyline follows Blade, in a world where vampires walk the earth unbeknown to the human race. 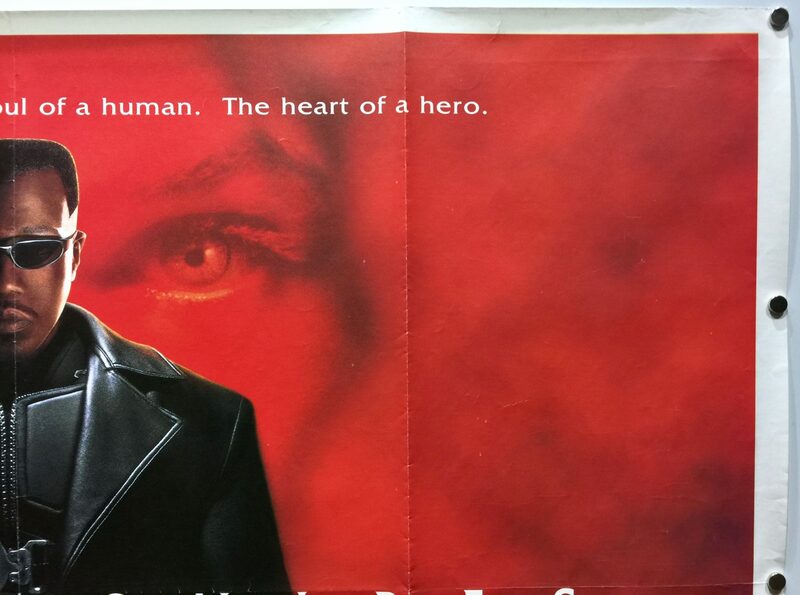 He is half-vampire, half-mortal man and becomes the protector of the mortal race. His goal is to rid the world of all the evil vampires assisted by Whistler. 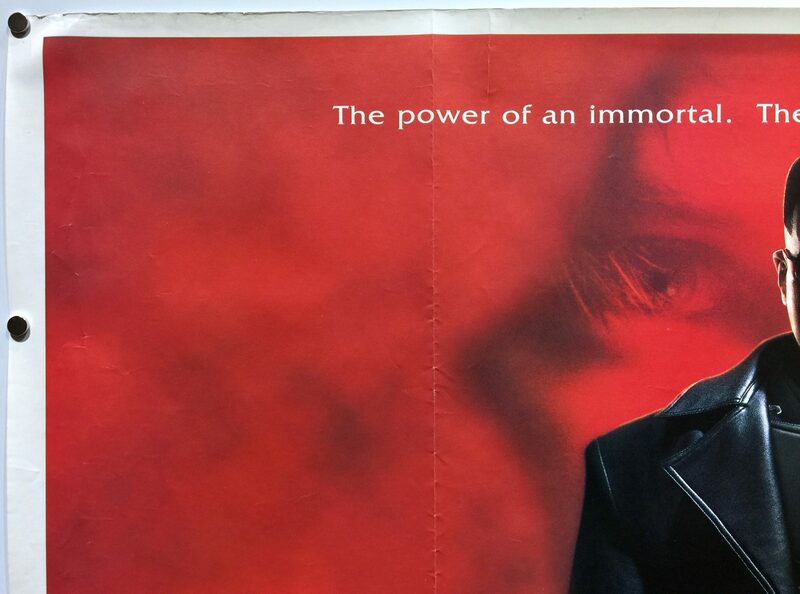 The vampires, who infiltrated nearly every major organisation, need Blade’s blood to summon La Magra, the blood god, in order to reign supreme over the human cattle. 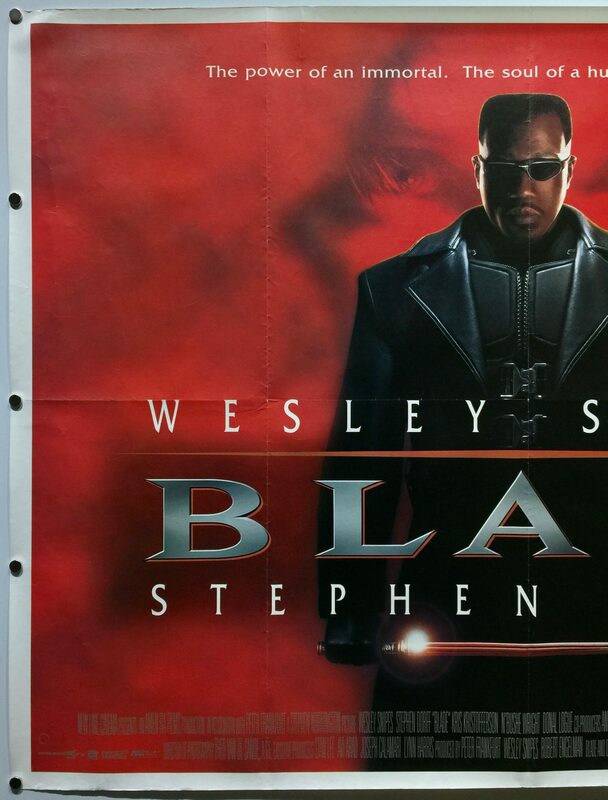 Marvel Studios had developed the idea of Blade as early as 1992. 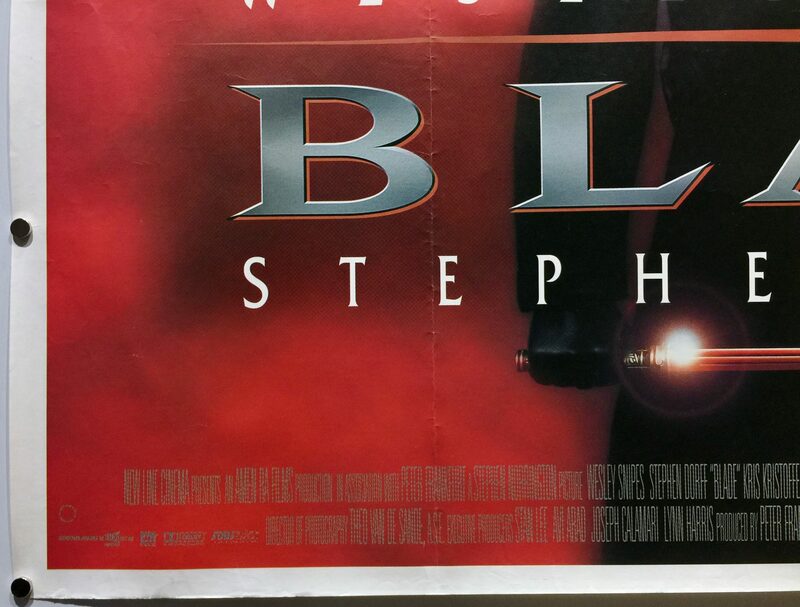 However, wasn’t until about 1996 when New Line Cinema took over distribution that the film started gaining traction. 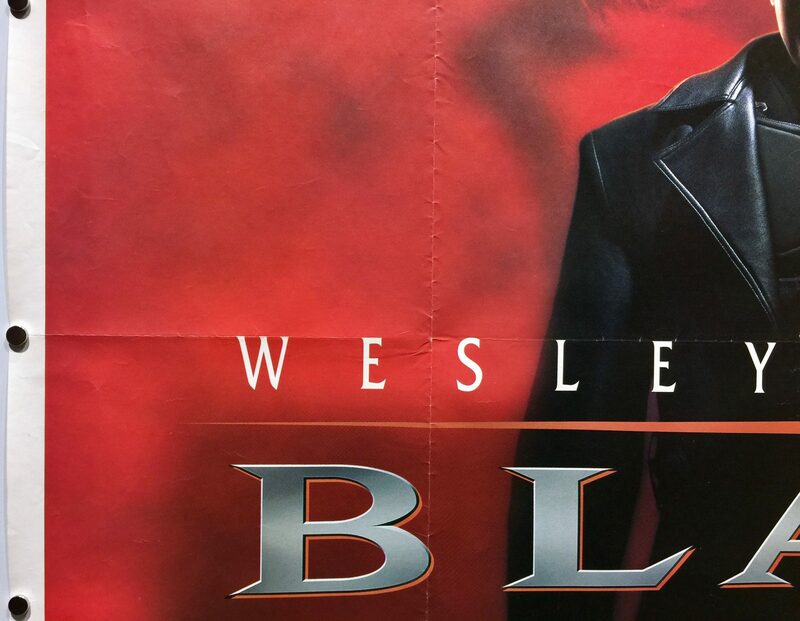 They originally they had three actors in mind to play Blade; Wesley Snipes, Denzel Washington, and Laurence Fishburne with the writer David S. Goyer preferring Wesley Snipes. Marc Singer was the producers original choice for the role of Whistler but the role went to Kris Kristofferson in the end. Jet Li was offered the role of Deacon Frost but he opted to do Lethal Weapon 4 instead. Principal photography took place mostly in Los Angeles, with additional scenes being shot in Death Valley. All of the sets were constructed and filming in the former Redken Shampoo factory in Canoga Park. Special effects for the film were completed by Flat Earth Productions. 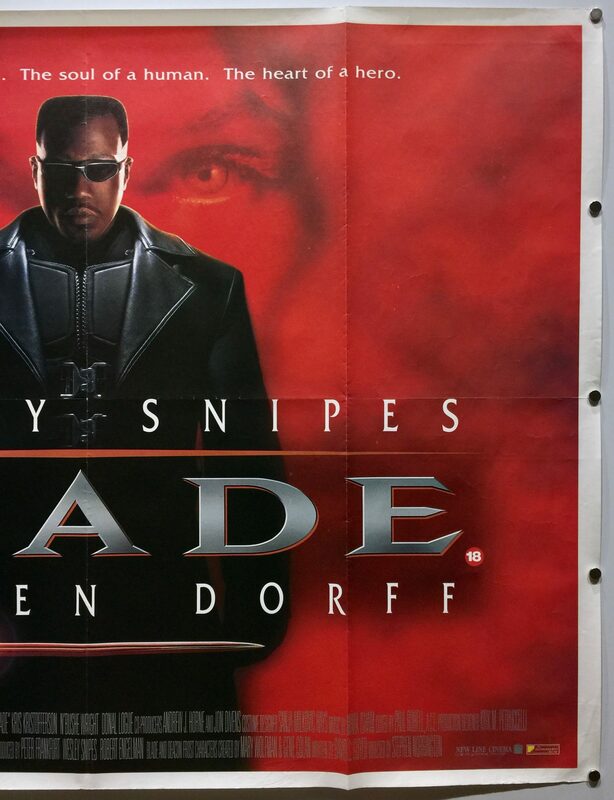 During post-production, Blade was around 140 minutes long and had suffered a disastrous test screening with audiences. Following this heavy edits were made and several scenes were reshot which delayed the release by more than six months. 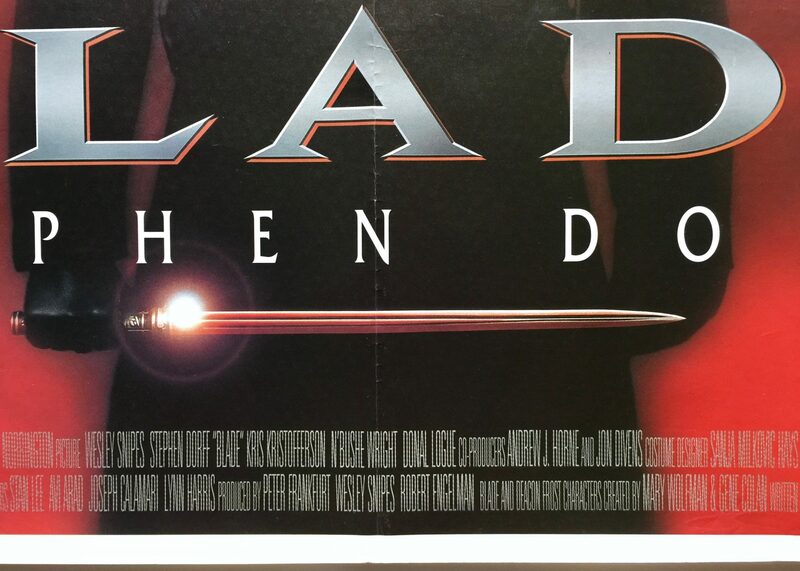 The biggest change was the addition of the final sword fight between Blade and Deacon Frost which was present during the initial screen test. 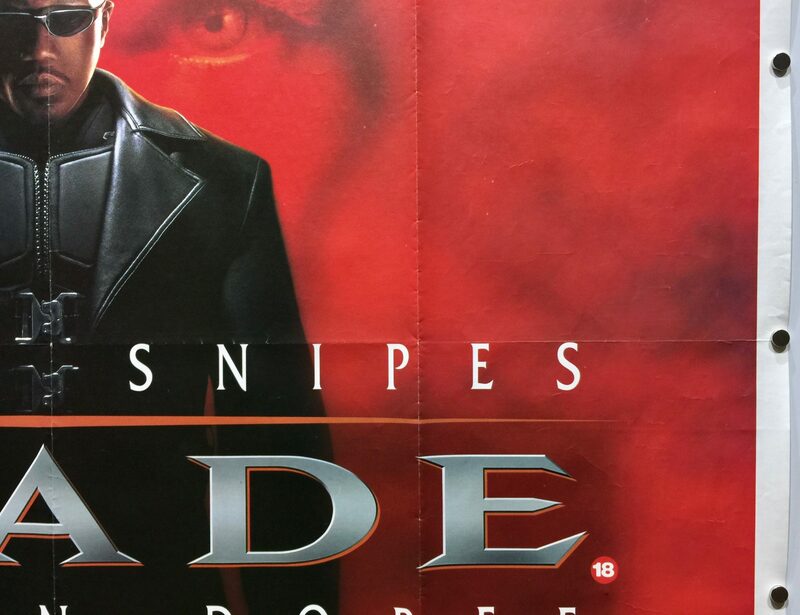 When Blade was released it received mixed reviews from the critics. 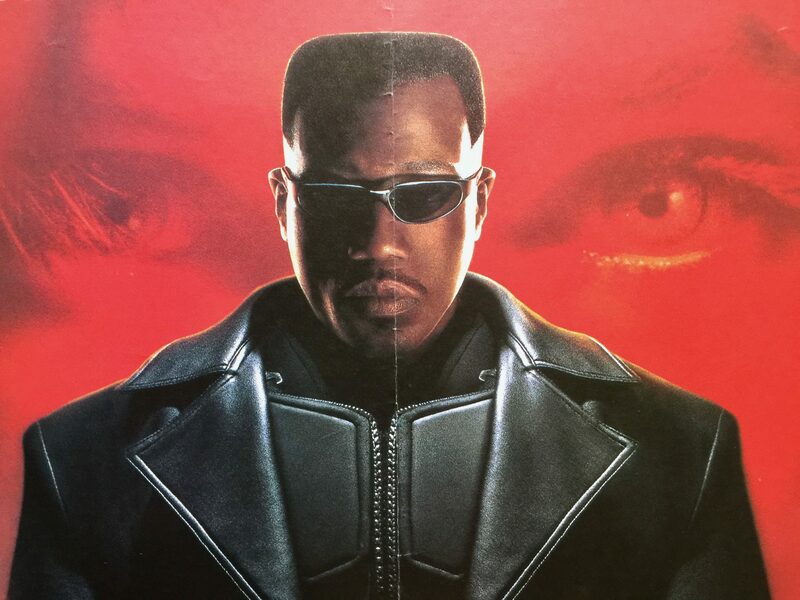 On Rotten Tomatoes it currently holds a rating of 54% with the general consensus being, “Though some may find the plot a bit lacking, Blade’s action is fierce, plentiful, and appropriately stylish for a comic book adaptation”. 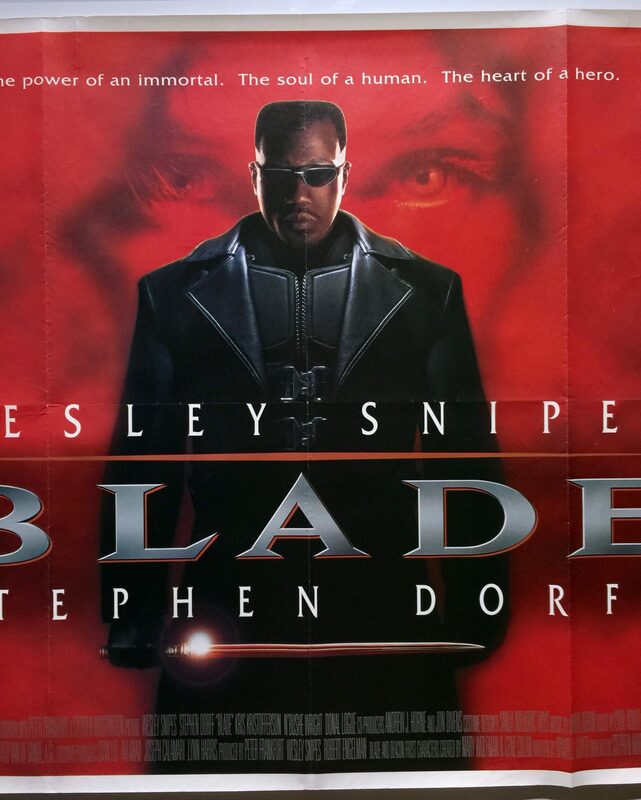 Roger Ebert gave the film three out of four stars and said “Blade … is a movie that relishes high visual style. It uses the extreme camera angles, the bizarre costumes and sets, the exaggerated shadows, the confident cutting between long shots and extreme close-ups. It slams ahead in pure visceral imagery”. 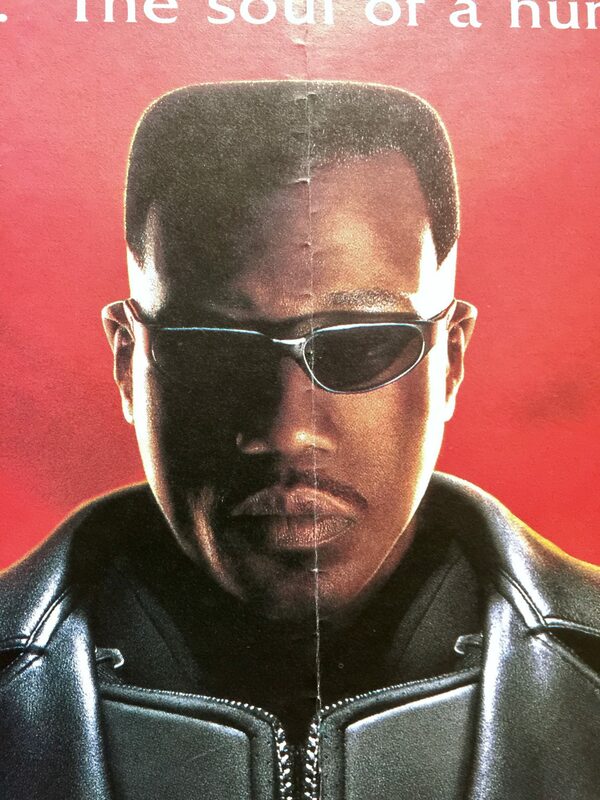 Commercially, Blade was a huge box office success and provided Marvel, at the time, with their biggest release to date following the disastrous Howard the Duck film. Produced on an estimated production budget of $45m, it went onto take $17,073,856 in US box office takings from its opening weekend. It went onto achieved total worldwide box office receipts of $131,183,530.